Allows advisors to move seamlessly between eMoney products and Fidelity's platform. 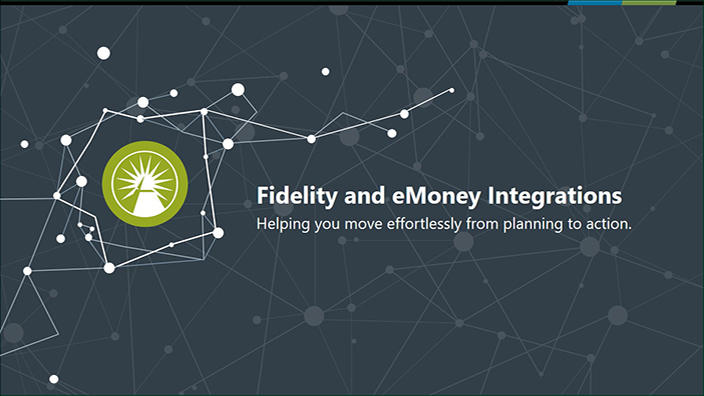 Select clients can be imported from Fidelity’s platform and accessed in eMoney without any manual data entry. With a single click, advisors can see all their accounts in one place. Investors can easily access Fidelity regulatory documents, like statements and tax forms from the eMoney Vault. *An interactive performance measurement and analysis system for advisors and investors, with on-demand PDF reporting. More information coming soon.